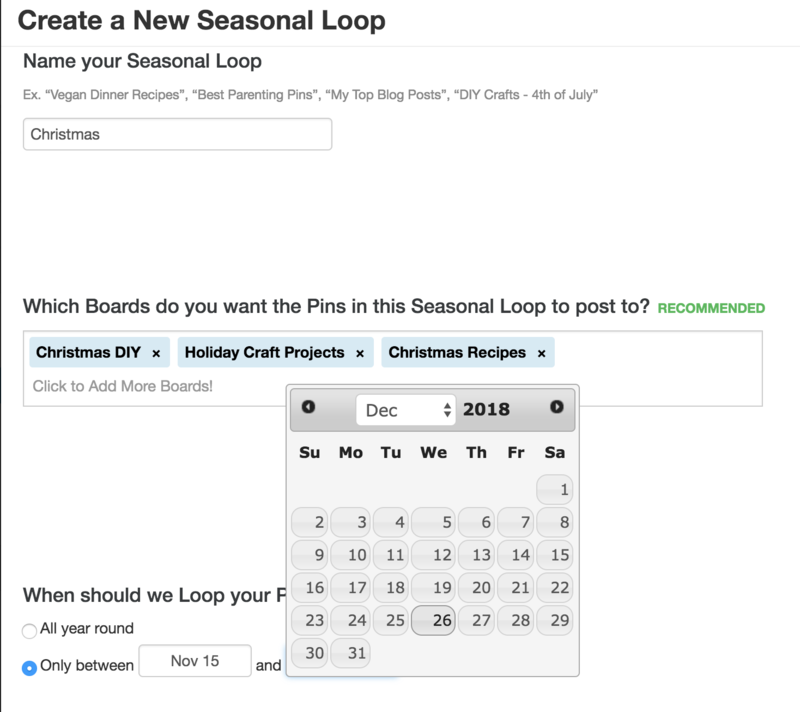 See how to set up Seasonal Loops to make sure that your Pinning is relevant for every time of year. 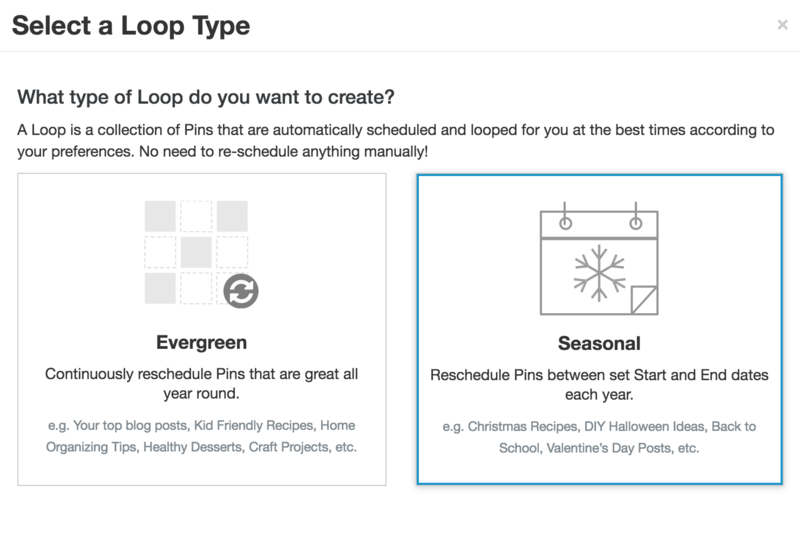 Evergreen Loops will publish year-round, but with Seasonal Loops, you can set specific start and stop times for this Loop to post that will automatically repeat every year. Seasonal Loops are perfect for holiday content, such as your Halloween DIY projects and Christmas recipes, or seasonal content, such as Winter Fashion or Spring Cleaning. The calendar displays the year, but the loop will repeat annually. We recommend starting about two months before the actual holiday or season begins. For example, if this is a Halloween Loop, select a beginning date around August 31.